Since its release in 2004, WonderDoc advanced chiropractic electronic health records (EHR) has been assisting chiropractors everywhere with daily functions. With over 10 years of research, five years of development, and three years of testing, the WonderDoc system is by chiropractors and for chiropractors. The WonderDoc EHR software provides a number of intuitive modules to increase overall practice efficiency and effectiveness. The scheduling module includes automatic reminders through a phone call, text message, or email. Additionally, the scheduling module has a customizable calendar with an ‘instasearch’ feature that lets you search for all appointments by patient name. WonderDoc’s billing module has free electronic claims processing through its clearing house partner, www.freemedicalclaims.com. The WonderDoc software lets you add contracted insurance fees to patients’ balances after assigning visits as deductible. Through the marketing module, users can more effectively manage patient relationships. For example, the marketing module allows you to arrange and print birthday lists and labels for more effectively timed marketing. In addition, you can create and send patient referral letters and recalls through the WonderDoc system. With instantaneous networking, you can send and receive patient data between multiple providers, computers, and offices to stay on top of trends and treatments. Chiropractors can customize the WonderDoc EHR system to more appropriately meet their needs, from treatment protocols to diagnosis codes. This comprehensive solution is great for Chiropractors looking to increase overall practice effectiveness and efficiency. 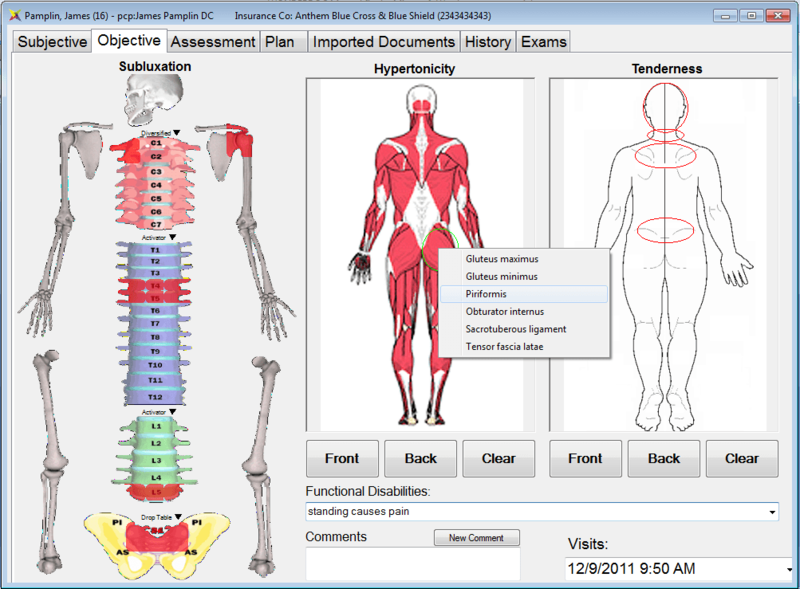 Not sure if WonderDoc is the right Chiropractic EHR for your practice? Call, click, or email to speak with an unbiased Technology Advisor for a no-cost, no-obligation consultation on your unique requirements. Learn everything you need to know about WonderDoc. Our experts will reach out to you shortly.